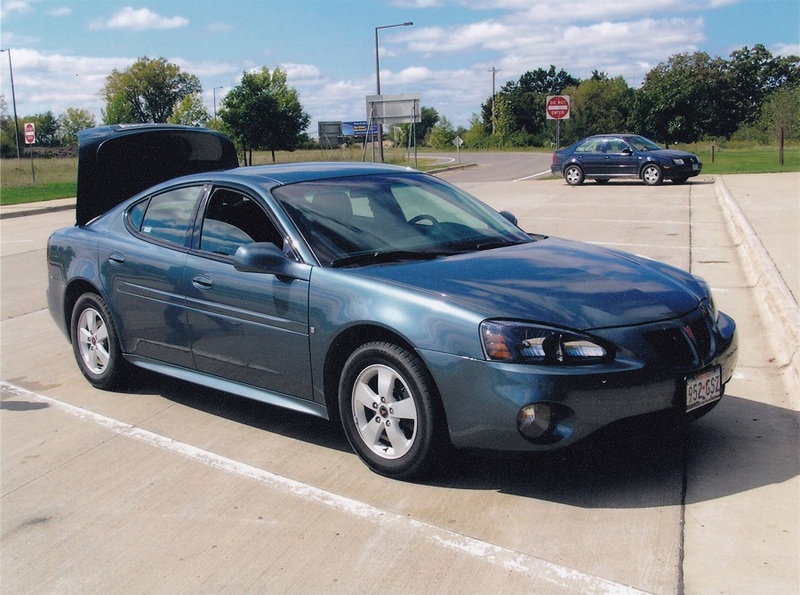 Has there ever been a car more mercilessly attacked from every angle than the 2004 Pontiac Grand Prix? It’s not a surprise it became fleet fodder, ending the 42-year old Grand Prix nameplate on a rather ignoble note but paving the way for a far superior successor. To tell the story of the final Grand Prix, it’s best to look at those that saw to its demise. 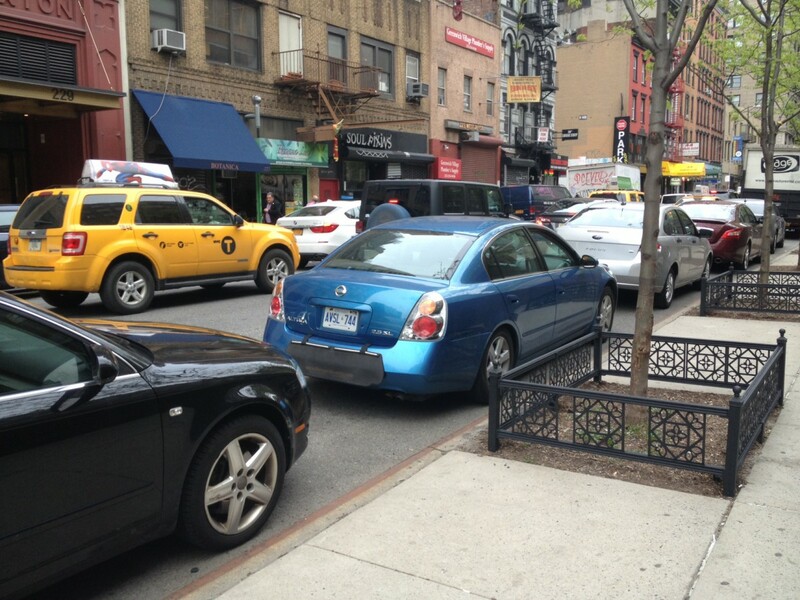 The redesigned 2002 Altima really took the ball from the Grand Prix and ran with it. 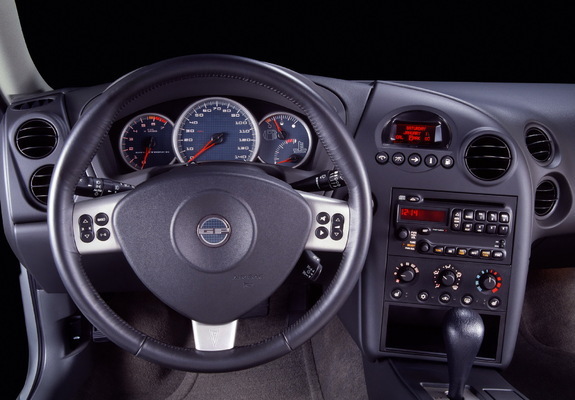 While it’s true a large percentage of Altimas were sold with a four-cylinder engine – much as the bulk of Grands Prix sold had the naturally-aspirated 3.8 – the redesigned Nissan offered an optional powertrain with some very impressive figures. Both the Grand Prix’s V6 and the Altima’s VQ35DE 3.5 V6 had featured on the Ward’s Best Engines list. Producing 240 hp at 5800 rpm and 246 ft-lbs at 4400 rpm, the Altima outgunned the Grand Prix’s Series III 3800 and edged closer to matching the flagship GTP’s supercharged 3800. The 3.8 had seen only a 5 pound-feet increase in torque from the previous generation, producing 200 hp at 5200 rpm and 230 ft-lbs at 4000 rpm. The supercharged version, conversely, saw a bump in horsepower – up 20 to 260 hp at 5200 rpm – while torque remained the same at 280 ft-lbs at 3600 rpm. Chrysler’s aggressively-styled, rear-wheel-drive sedans – and their Magnum wagon counterpart – arrived at the worst possible time for the Grand Prix. 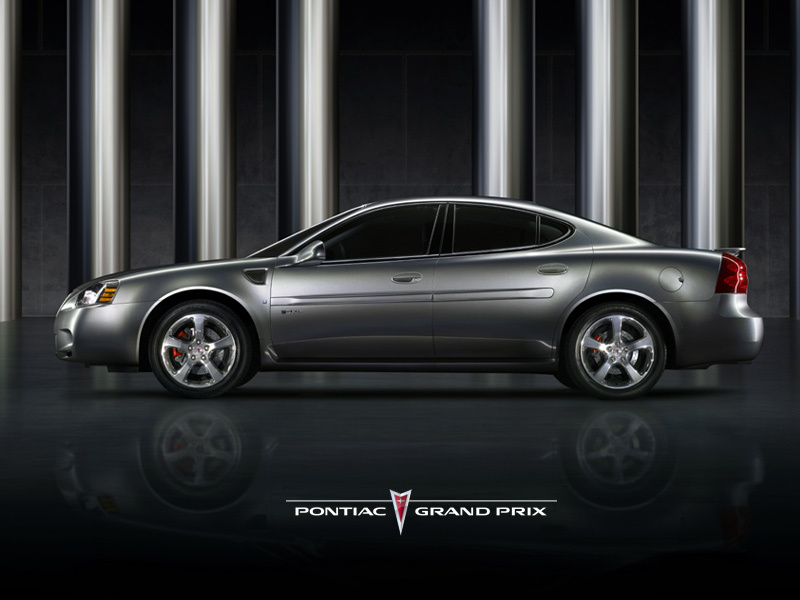 These brash Mopars completely overshadowed the Grand Prix’s new GXP performance flagship, introduced in 2005. For the first time, a V8 engine was available in the front-wheel-drive GM W-Body. 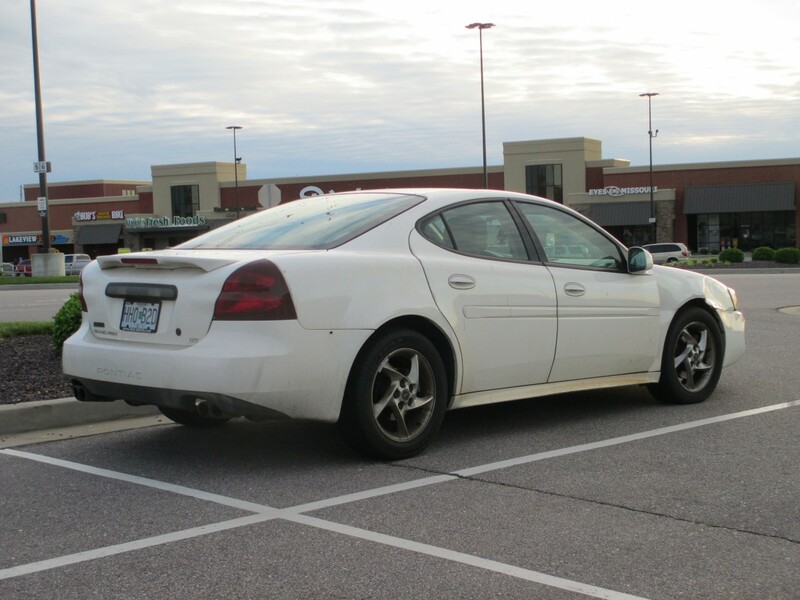 The GXP’s launch preceded the related Chevrolet Impala and Monte Carlo SS by a year (the Buick LaCrosse Super debuted in 2008). The 5.3 pushrod V8, used in GM’s trucks, produced 303 hp at 5600 rpm and 323 ft-lbs at 4400 rpm and in the GXP reached 60 mph in 5.7 seconds. That much power and torque in a FWD platform sounds like a disaster waiting to happen. In the Chevy, it was. But GM’s Performance Division had put a lot more effort into the Pontiac than the SS models, making a series of performance tweaks that Car & Driver said resulted in “excellent road manners”. These tweaks included a 0.4-inch lower ride height, Bilstein gas-charged struts, revised spring rates, and a thicker anti-roll bar. The most interesting feature was the footwear: Bridgestone Potenza RE050As, 255/45-18 at the front and 225/50-18 at the rear. This set-up helped quell torque steer and made the handling more neutral, resulting in probably the most dynamically competent W-Body yet. 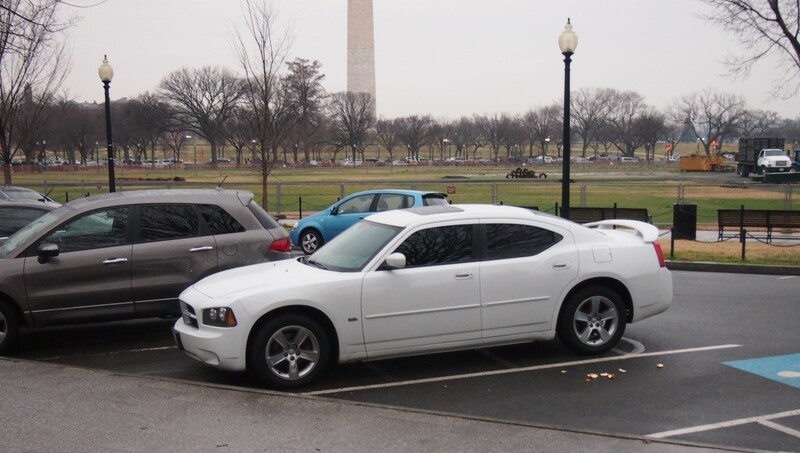 The GXP also received the a four-speed automatic with TapShift paddle shifters, borrowed from the erstwhile Grand Prix flagship, the GTP Comp G.
Ah, but Chrysler’s LX cars had more power and torque and an intrinsically better-balanced chassis, as well as a roomier cabin (not to mention, a transmission that didn’t self-destruct). For around $3k more, the Charger R/T was still a performance bargain. 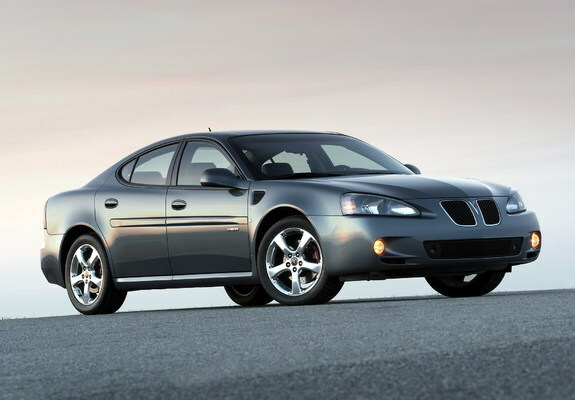 Buyers agreed: GXP sales totaled just 17,990 units over four years of production, accounting for around 5.5% of sales. 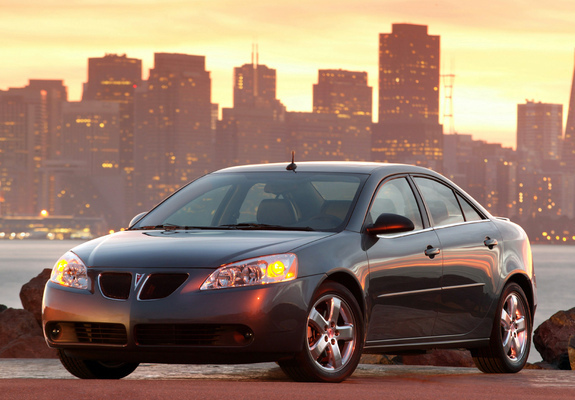 Critics generally agreed: had the GXP arrived 5-10 years earlier, it would have been better received by critics and consumers alike. Japanese cars were growing ever larger by the 1990s and yet, despite this, the Japanese didn’t try to plug the gaps. While the Camry was considered a compact in the 1980s, it became firmly ensconced as Toyota’s mid-size offering in the 1990s. The Big 3, however, had split the mid-size segment with large compacts like the Pontiac Grand Am and large intermediates like the Grand Prix. This wasn’t sustainable as it depleted development and marketing funds while the Japanese had smaller, more focussed model ranges. The first step by GM towards breaking this practice was the Grand Am’s replacement, the 2005 G6. The G6 was now as long as the contemporary Camry and had a wheelbase around 5 inches longer than both the Camry and the Grand Am. Pontiac’s erstwhile compact line was now about as spacious as the Grand Prix with a total wheelbase length of 112.3 inches; the Grand Prix’s span was 110.5 inches. The G6 only gave up an inch in width, although the Grand Prix was still 9 inches longer overall. Raw figures aside, this now meant prospective Pontiac buyers saw two similarly-sized cars in the same showroom. They might have been impressed by the Grand Prix’s superior trunk space but subsequently disheartened by its rear seat accommodations which featured a low seat base and high belt line. Pontiac also introduced a base four-cylinder G6 and, later, a modern DOHC V6 in the flagship GTP. The Grand Prix had lost its coupe body style – sales had been slowly decreasing for a few years – but a two-door returned for the G6. Pontiac’s new model was receiving all of the attention, leaving the Grand Prix in the cold. That the cheapest G6 V6 sedan cost around $3k less than the base Grand Prix was simply the final enticement to prospective G6 shoppers. The G6, Charger and Altima all had decidedly average interiors but the Grand Prix’s cabin was nothing special, either. There were some soft-touch plastics and the driver-oriented center stack was convenient. A two-tone beige/black interior was available, too, and the GXP had faux-suede seat inserts. Unfortunately, the interior was hobbled by some truly awful plastics on the center stack and dated, 1990s-style switchgear. Although a tiny bit of brightwork was added around the air vents for 2006, no other changes were made for the rest of the car’s run, not even the addition of GM’s “Black Tie” radio unit (with AUX input) featured in almost every other Pontiac and Chevrolet. Surprisingly, there was an optional nav unit–a feature missing entirely from the Epsilon cars. With Bob Lutz as Chairman of GMNA (and, from 2005, head of global product development), product was king at GM and the corporation was storming towards a future of consolidated and competitive global platforms, fuel-efficient hybrids, world-class luxury cars, and affordable RWD performance. The Epsilon platform was rolled out to Pontiac, Chevrolet, Saturn and Saab (and Opel overseas), the RWD Zeta platform was to underpin a new Chevrolet Monte Carlo as well as flagship Cadillac and Buick sedans, and GM was rumored to be developing a full-size FWD platform for sedans, known as Chi, that was based on the Lambda platform. 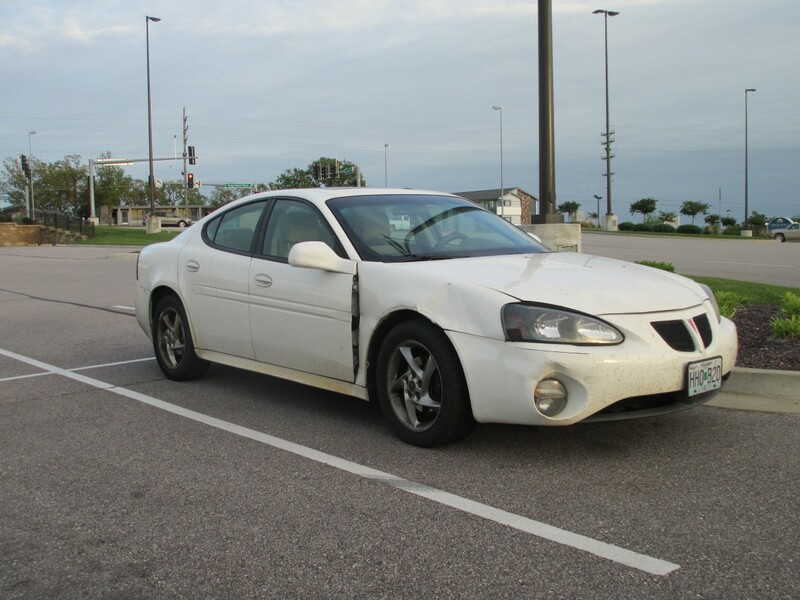 The ’04 Grand Prix may have been touted as having 80% new parts but the W-Body chassis was little changed. Lutz made his mark on the Grand Prix simply by ensuring it didn’t look as plastic fantastic as Pontiacs of the ‘90s, much as he had stripped the cladding from the 2004 Bonneville. Although the Grand Prix introduced novel features like rear doors that opened almost 90 degrees and a front passenger seat that folded down, it’s clear the ’04 redesign was always meant to be a stop-gap. The disappointing sales performance of the Australian GTO didn’t dampen Lutz’s enthusiasm for bringing the upcoming Holden VE Commodore over as a Grand Prix replacement. With the ailing Bonneville terminated after 2005, Pontiac’s future line-up would offer one compact wagon (Vibe), one compact coupe (G5), one mid-size (the G6), and one full-size (the G8). All the Grand Prix had to do was ride it out until the G8’s arrival, which ended up being two years after the VE Commodore’s launch. And the G8 and its Zeta platform-mates were predicted to sell 400,000 units annually. As fate would have it, the Grand Prix almost survived up until Pontiac’s execution date. Lutz and his colleagues must have been deeply disappointed that their plans of reinventing Pontiac as a niche performance brand had been torn asunder. But those plans had gotten off to a rocky start as GM continued to foist lazy rebadges like the G3 and G5 on the excitement division. Even the dated Grand Prix was a more authentic, brand-appropriate vehicle than the cloned-Aveo G3. Despite intense internal and external competition, Grand Prix sales didn’t completely fall off a cliff after 2004. The previous generation had sold between 120,000 and 140,000 units annually, and the first year of the new generation saw an uptick from 2003 to 131,551 units. From then until 2007, the Grand Prix lost around 10-20k sales each year until 2008 when just 8,636 were sold. Although the car was still a good seller, that was primarily due to heavy fleet sales: in the first half of 2007, for example, 77.6% of Grand Prix sedans went to fleets. That was an even higher percentage than the Ford Econoline! Ultimately, the Grand Prix was a stopgap, an appetiser for a tastier meal to come. Unfortunately, last night’s leftovers weren’t what retail customers were craving. Grand Prix photographed by Jason Shafer in April 2017 in Osage Beach, Missouri. I will hand it to Lutz – the de-cladded 2005 Bonneville was the best looking Bonneville in years. The one thing he could never solve is high production costs that made it unsustainable to keep shipping cars over from Australia. The great irony is that during GMs Bankruptcy the government wanted to cut GM down to Chevy, GMC, Pontiac, and Cadillac until their attention was directed to Buick’s overseas sales figures. Suddenly it was Pontiac that had to go. Initial idea was to keep both Pontiac and Buick, but that plan was rejected. Which has left GM domestically with the problem of expanding Buick’s image and lineup from “cars for the old and old-at-heart” to “something for everyone that’s fancier than a Chevy but not quite a Caddy”. I do feel (as the author does) that much of Pontiac’s “core customer” is over at the Nissan store. In my area I have observed more than a few Grand Ams, Grand Prix, G6, and Torrents being traded for Sentras, Altimas, and Rouges. Truth be told, if it weren’t for the brand cachet of Buick in China, I think they could have done Chevrolet and Cadillac and axed the rest of the lot. That would have offered them a lot of room to fill in the middle of the market ala Ford with Platinum and ST sorts of offerings. Now GM has to play the Mercury game instead. Yeah, but GMC is pure profit. It’s arguably the most redundant brand in the GM portfolio, yet it continues to be a sales haven. That’s not how the story goes according to Lutz himself. According to him, GMC, Buick, and Pontiac were all being considered for the chopping block. The Feds wanted to know what kind of money these brands were bringing to the table. GMC was fairly profitable, Buick not nearly so much. Pontiac? Lutz admits Pontiac had not made a profit whatsoever dating back to 2000. Case closed; shutter Pontiac if you want the loan. Buick really ended up being saved in two ways; not only China, but GMC still needed a dealer network separate from Chevrolet to avoid loosing sales to their cheaper equivalents. Those real additional profit margins compared to their siblings helped to keep Buick afloat. I never understood the need to keep Buick in the US even with the Chinese sales strength. Just use one division name over there and a different one over here, just as they actually have been doing with Buick essentially being the European Opel lineup. Did they fear Chinese buyers would be appalled if they they learned that there are no longer Buicks in North America? Keeping them around for the GMC dealer network makes much more sense…. Other than GMC being the most pointless brand of the lot for several decades. Your comment of GMC being the most seemingly pointless brand sure looks plausible at face value, but somehow across all their model lines, they manage to rack up thousands of dollars in extra profit over their Chevrolet equivalents. I much prefer GMC’s styling, which runs more conservative than Chevy’s (Denali excepted). They just look classier to me. There was also the tidbit of “Buick buyers tend to pay in cash”, at a time when GM was having cashflow issues and had lost control of their finance unit. Knowing what I know about the status of Buick in China (going back to the 1930s) and Chinese mentality, I’d say the answer would be yes – I believe many Chinese would have found this insulting. You beat me to it. Pontiac was destined to be cut, one way or another. 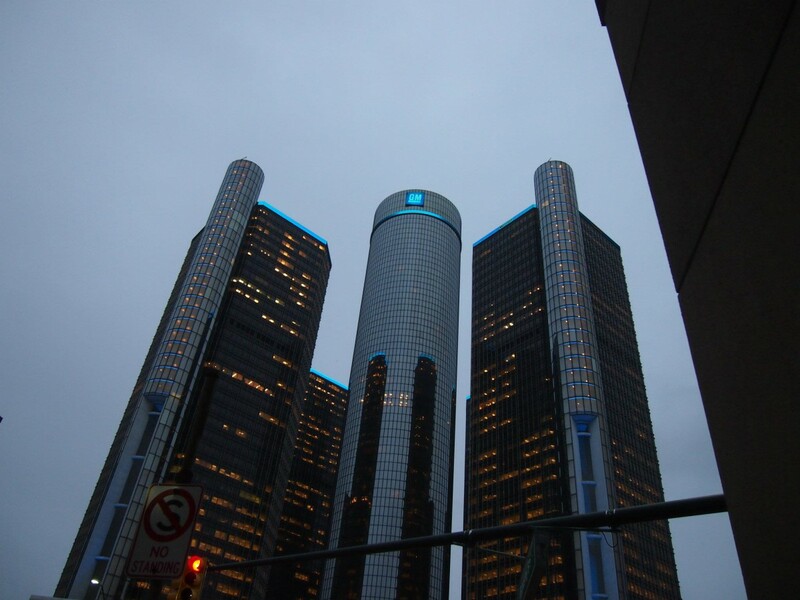 What was Pontiac supposed to stand for, or what had it, for years/decades? The Walmart-BMW image wasn’t exactly sustainable. FWIW, Buick was a more obvious keeper; much more effective against Lexus, for instance. And Buick did have a much deeper heritage; it was the original backbone of GM, and the division that kept it afloat during its early crisis. Buick was by far the healthiest/most profitable of the divisions until Chevrolet finally got huge. Probably not until the 30s. Or later. Pontiac was a johnny-come-lately and an iffy proposition from the get-go, and only made it due to the go-go times of the 60s and its more audacious leadership then. I would say Pontiac is an Oakland county thing. Did it ever occur to the feds that there were tons of BPG dealers in lower-class neighborhoods that made all of there profits off of Pontiac and were only stuck with Buick after the dealership networks were merged? Killing Pontiac still probably hurt the economy more than it helped. That high rear beltline and tiny windows really killed this car for me. Looking at the interior picture the beltline seems to be higher than the rear headrest. Call me old-fashioned, but I like big windows. How will anyone admire that new Winky the Cat you just ordered from JC Whitney in the Grand Prix,? My wife and I ended up with a GXP rental on a trip to the Bay Area back around the ’06-’07 timeframe. It was black with a gray interior, and I remember being quite impressed with the car overall. Crisp handling, decent ride and effortless power with little torque steer as I recall. It was a comfortable place to spend freeway time with crisp handling that made traversing some twisty roads around Half Moon Bay a pleasure. The black color suited it well while hiding some of the car’s most egregious styling faux pas. Would not have considered owning one but it sure was a fun rental for a long weekend! 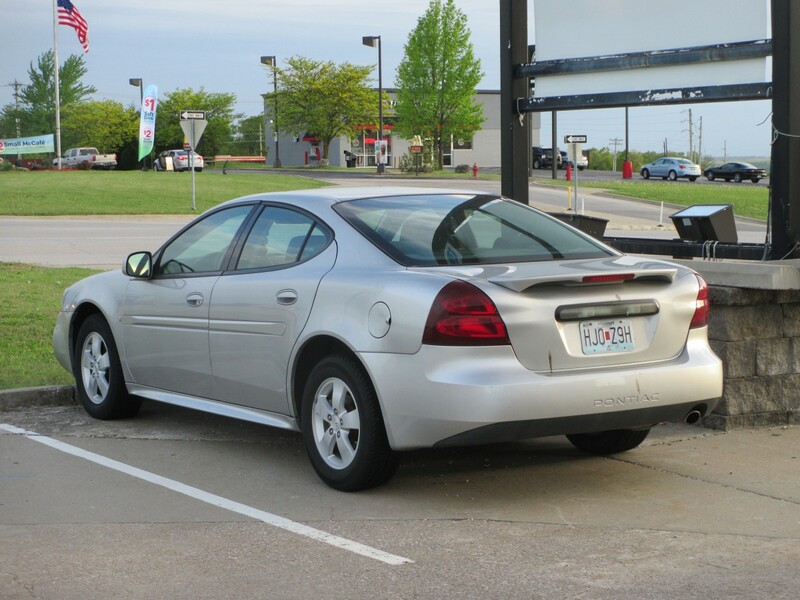 Same here – I rented a GXP for a week while in the LA area for a wedding back in 2005-6. Didn’t mean to – they asked at the counter if we wanted an upgrade (an extra $8/day or something like that) so we said ‘sure.’ Was surprised as all heck when I popped the hood and saw the Chevy V8 under the hood! We too had a GP as a rental in Miami in that same time frame. I do recall being impressed with how it hugged the road and had good pick-up; however I was aggrieved with the cheesy RED instrumentation, Playskool plastics, and perhaps the world’s longest nose cap. Hack 12″ off that and it would have looked better. In about 2008 I rented a G6 for about 24 hours. Quite a change from my 92 Integra. I didn’t think of it at the time, but as this write-up pointed out, the G6 pretty much made the Grand Prix redundant. The whole “saga” of the Grand Prix is very similar to that of the relative you meet when they are young and pretty. Then, as the years pass, they start to get a bit of a spare tire, and the fiery red hair starts to turn a mousey brown, but they still look attractive thanks to a decent set of clothes. Then, as old age encroaches, even the clothes look less than tasteful, not that you notice because of the wrinkles and very gaudy costume jewelry. Too bad the Grand Prix was allowed to decline instead of remain “vital” like the Corvette….or the Mustang at Ford. It’s hard to say which is more surprising – that over 3/4 of these went to fleets in 2007 or the Econoline had that low of a fleet presence! Extrapolating a global picture based upon what one sees near home can certainly create a false conclusion as I had no idea the sales of these tapered off so much so quickly after 2004. I say that due to the sheer number of these I keep seeing plus finding the white and silver examples seen in the article about three minutes from each other. On a recent 60 mile trip I counted ten of these Grand Prix’s. Will, thanks for this; I now view these in a totally different light. I have a sneaking suspicion that most of the Grand Prix’s of this generation that we see on the roads were former fleet cars bought used. In my area of Central Florida 10-year-old W Bodies are a dime a dozen, and the Grand Prix is well represented. Of course we’re also one of the rental car capitals of the Eastern US, and the W’s are as well represented on BHPH lots locally as they are plying the streets. There’s no denying that the W’s make great used cars. No doubt about what you say regarding the W-body. It seems like about every sixth to eighth vehicle on the road around here is an A- or W-body. They just won’t die. If the final two generations of Grand Prix showed us anything, it’s that 4-doors could look cool. G3 and G5…blame the dealers. I was in advertising at the time and had a major multi-line GM store as a client. They could get more money for a Pontiac clone than a Chevy; prospective customers saw higher perceived value. For the 243rd time…Pontiac had no reason to exist after 1982. Any and every Pontiac not already being sold as a Chevy, Buick or Olds could have been tweaked and marketed under one of the other brands. I never warmed up to the styling on these. The shape came off as awkward, much less attractive than pretty much any other W body. Like some others, I had not known how badly sales of these tanked at the end. Plus 1982 was when the new Firebird came out and helped to usher in sleek looking cars. Without Pontiac, wouldn’t all the TV and movie roles just gone to the Camaro? Styling wise I can’t stand the position of the body side moldings. It looks like someone with their pants hiked up around their stomach, ruins an otherwise good design. I understand Pontiac was going for the BMW grill look for the front, but ended up looking just pinched and cheap, like a smaller car. The Bonneville came out better and it wasn’t that much difference in size and actual price. The styling of the last generation Grand Prix was atrocious! Take your pick as there were several design disasters… the bodyside molding with its unlovely attitude and flattened sections at the tips… the tongue depressor of a rear spoiler… the flow-thru of the taillamp horizontal bulges into the decklid sheet metal (as if they cost-reduced a taillamp piece in the decklid, but kept its shape)… the belt line that rises too steep and creates an awkward C-pillar… the lack of flow/integration as the belt line meets the mirror and A-pillar, yet lacks any continuity to the front fender, hood, and/or base of the windshield… chiseled headlamps that don’t relate to the organic fender/hood/fascia environment… Chris Bangle-like concave hood surfaces…. yuk, yuk, yuk. When you look at these Grand Prixs from the rear they remind me of the shoulders on a Holstein. My fellow co-worker had a red 2004 GT with just about every possible option you could throw at it including black leather seats, moonroof, chrome wheels, full trip computer, heads up display and the 6 disk CD changer amongst other things. He bought the car with 12k miles on it in 2004 as a bank repo and kept it up until 2 years ago with well over 200K miles. It still looked really good with virtually no rust and the interior held up very well considering. He loved that car and still talks about it to this day. Other than a wheel bearing, the usual tires and brakes and couple of minor other things it was pretty much bullet proof for him. His replacement vehicle, a Jeep Compass has not fared so well needing both front wheel hubs replaced, door seals going bad and many front end parts failing. And that is with only 60K on the clock. 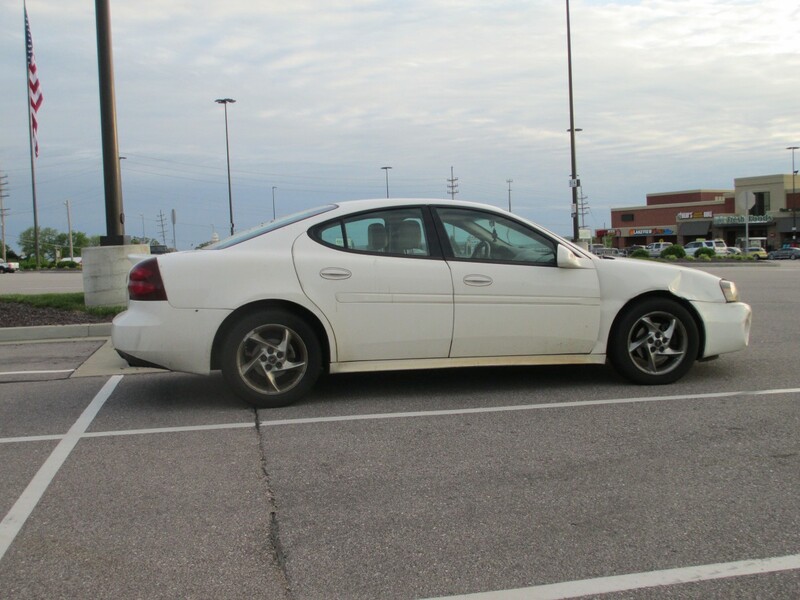 First my 2006 Grand Prix GT (base) – Love at first sight. Great looker with mediocre handling and superior space utilization. Interior was a bit cheap in execution (the driver’s seat cushion and covering fell apart after 30k miles) at 6 feet tall and 185 pounds, I don’t think it was over taxed by my frame. Never had a mechanical issue and but I always wished for more power. I though Pontiac placed it nicely in the lineup. Second, my 2009 G8 GT – Lusted after this car after I saw it online and in the press. Power and driving dynamics of the V8 were a blast. I always wanted a Holden. Looked like a BMW if I squinted. I was sad to give it up in 2013 but..
Third, my 2013 Charger R/T – I was raised in GM family and I was sad that Pontiac was gone, and the Impala over priced , didn’t offer a V8 and was bland looking. I’m too young for a Buick, so I made the leap. Ended up with the most appealing new car I’ve ever owned. Dodge really paid attention on this one. Smooth V8 power, more balanced handling than the G8 and comfortable interior. Bland gray seating surfaces on my base model. I loved this car so much that i would park it outside of my office window to gaze at it. Not a bad line anywhere. All it lacked was some shiny bits at the base of the side glass to accent the crisp styling. Loved the power too and you could really sport shift the automatic. Living in an area where unscientific road polling suggests that both GM and Nissan are, and were, less popular than competitors, I’m surprised that the Altima would rob Grand Prix customers (other than rental fleets). But the RWD Chrysler sedans, certainly … these are far and away the most common large American sedans on the road in California, and have been pretty much since launch. I do find these later, de-cladded Ponchos to be quite handsome. I’m with you here. I cant see Nissan with their bland yet weird styling and lack of any real flavor appealing to former Pontiac customers. Granted, many later Ponchos were just warmed over GM fare, but they at least tried to rub a little performance car stank on them. Seems to me, Pontiac should have stayed around but narrowed down to the Solstice roadster, G8 sedan and GTO coupe, with the G6 as the volume model. That would give them a focused lineup that didn’t regurgitate anything you could find elsewhere in GMs lineup. Buick? Since the Chinese love them so much, move the division over there and kill it here. Well, I saw plenty of boy-racer type guys driving that generation Altima. But Pontiac’s actual customer base was like 65% female, and those young ladies were trading in their sporty coupes for compact crossovers. What they really needed were better cars than the Aztek and Torrent. Regarding “G6 as volume model”, see current internet blog posts of “mid size sedan death watch”. Also, see the recently killed off Chrysler 200 and Dodge Dart. G6 was known as “Car Oprah gave away and people had to pay sales taxes”, and then fleet queen after GP dropped. I’m going to have to disagree with you there – the Maxima has quite a presence in person to me…something that doesn’t convey well in pictures. Low, carved, menacing. I’ll go on record as saying I like the last Grand Prix – not like I loved the personal-luxury Grand Prixes of decades prior, but I still liked them. I rented a newish one about ten years ago and thought it was a really nice car. I was with family, so I didn’t spend a whole lot of time at the rental counter asking about what it had under the hood or any other special features it had, but I remember it being a commodious, nicely put-together, and really responsive car. Yes, the interior (with that upswept belting at the rear) kind of made it feel like a cave inside, but given the summer heat, the lack of extra light actually kind of helped give the illusion of the cabin being cooler that it probably was. I remember thinking when these cars first came out just what a stylistic step backwards they had been from the sporty, lean, muscular prior GP that had come before it. It just looked thick and ungainly from some angles, and I lamented that the Coke-bottlesque contours of the old car were gone. The exterior styling grew on me a little bit as time went on, but I think these cars – taken by themselves – were decent efforts. It’s just that efforts of other makes were perhaps just better suited to the market. Old Pontiac buyers ending up in Nissan showrooms isn’t really about the merits of the cars themselves; rather it’s the way in which the dealership model targets customers. Lots of cash on the hood, willing to finance higher risk buyers, etc. This is exactly how Pontiac operated the last 15 years or so of their existence. I think all the factors mentioned in the article had a lot to do with the downfall of the Grand Prix, yet I have to add my $0.02 on an item mentioned in the comments: the styling of the last generation of Grand Prix. I found the styling to be too bland and totally unmemorable in addition to being awkward. Also, because it looked too much like the last generation Bonneville, I’m sure I’m not the only one who has to look at the back bumper/trunk of each to know which one I was looking at because they looked that similar. That sure didn’t help things. Also, I would like to add that I used to lurk at the GM Inside News forums quite regularly but haven’t in ages. This is because after Pontiac was axed and Buick was saved that a large number of whiney-assed crybaby Pontiac fans kept flaming every Buick thread with “it should have been Buick axed and Pontiac saved”…without offering one good reason to support their belief. And GM Inside News continued to allow this to happen/didn’t put and end to it…so I left because I just was getting so sick and tired of Pontiac fans continued BS there. I am one of those people who absolutely loved the last generation of Grand Prix (I am also a fan of the 1997-2003 models too). Back in early 2007, my best friend was looking to upgrade from his 2005 base Sunfire coupe and get into something with a few more bells and whistles and a lot more space to take advantage of. 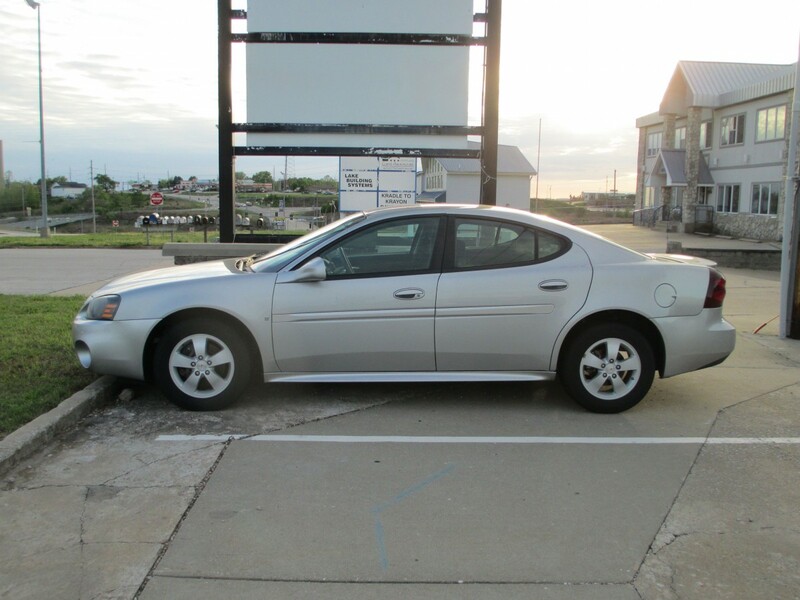 When we got the GM dealership, I immediately steered his attention to the three Grand Prix units sitting in a row, as I had purchased a 2003 SE in early 2004 and scored a great deal. After a test drive, he was happy and made the deal, and still drives that car today. I’ve driven it a few times myself, it is improved over the 97-03s in many ways, cruises along nicely at highway speeds, returns reasonable mileage and for him, it’s always been super reliable, needing nothing other than the standard routine maintenance. I would go for one of these in a heartbeat should an amazing deal present itself. I should note his is a 2006 model. What hurt new GP sales was all the used ‘program cars’ for thousands less. With 70% going to rentals, why get a new one? This system worked out so well, that GM declared BK. As you’ve proved, the Grand Prix has simply outlived its purpose by this point. There were much better choices for either a midsize or sporty midsize sedan, some of them other Pontiacs. The Grand Prix still had a few loyal fans who undoubtedly still purchased, but other than that it really had little unique appeal. SUV sales took off too, many former loyal domestic car owners moved into GMC/Chevy trucks. As if they were still building 1969 GTO Judges and 1977 Bandit Trans Ams in 2009. Lutz claims that “enthusiasts would have bought RWD Pontiacs in droves” if not for recession. But the low Aussie GTO sales shows otherwise. And Chevy had Camaro in development with continuing Corvette improvements. Pontiac was not the 1960’s ‘muscle car brand” with their own V8’s. Some just forget the GM has to make $$, not just build cars for “entertaining fan boy fantasies”. Opps, meant to put quotes on “G3 and G5…blame the dealers”. Pontiac was relevant more recently than Buick was, which was the 1950s and the Riviera. ALL of GM’s brands rest on their laurels, nobody would have continued buying their junk in their darkest days otherwise and the bankruptcy would have happened even sooner. The SUV or 4 door pickup is today’s “personal luxury car” and has now taken many mid size car sales, too. Even if GM kept Pontiac instead of Buick, we would be seeing “Pontiac Encore/Envision…” today. It’s too bad the G8 didn’t really have the time to get off the ground, plus Pontiac’s public impending doom scared a lot of folks off. 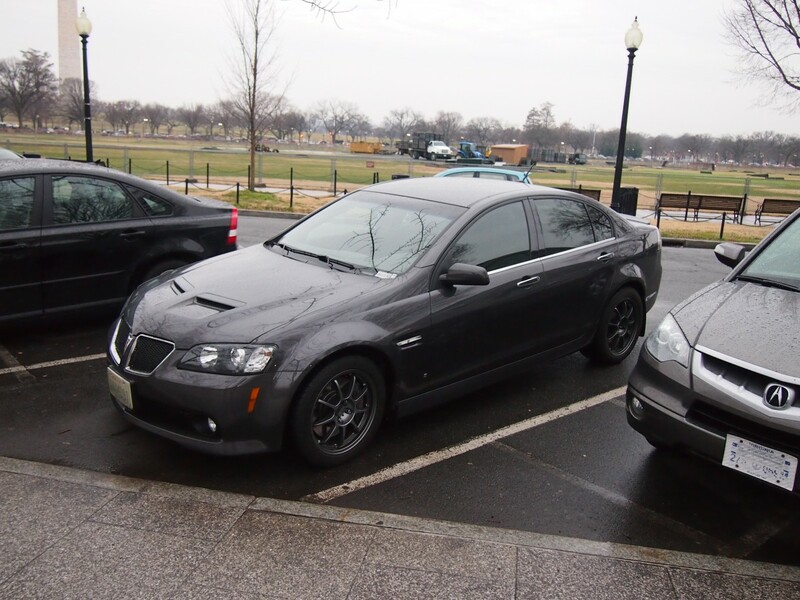 I still wouldn’t mind a G8 GXP but finding one used (and not abused) would take a lot of luck. The Grand Prix was my favorite rental car. While that may seem like faint praise, it’s not… I really did like driving them. 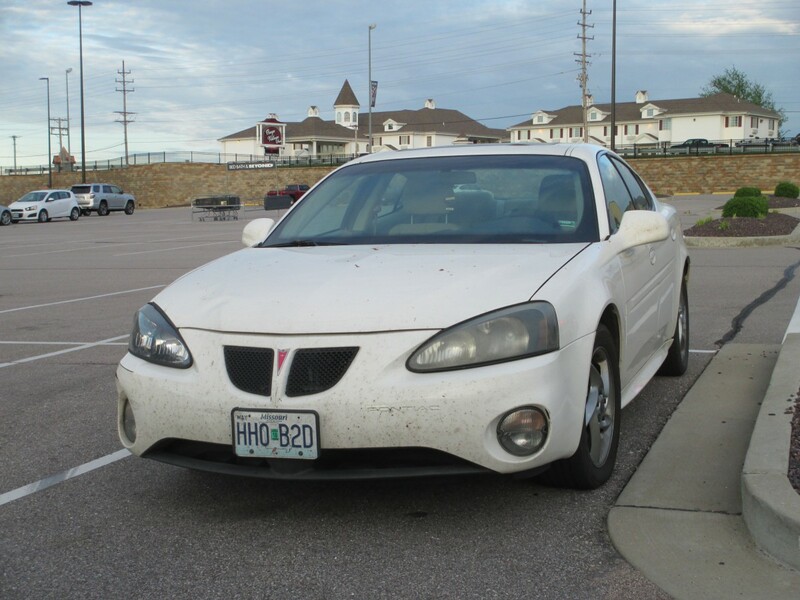 On one trip, my wife and I took a vacation in North Dakota, and drove a rented Grand Prix for about 1,500 miles. It was comfortable, quick, efficient, and looked pretty good (well, except for that tiny quarter windows in the rear doors, which I never warmed up to). In fact, I would have considered buying one had I been in the market for such a car at that time. The picture below is our North Dakota rental — I liked it so much I memorialized it with a photo at a highway rest stop! G8/GTO was a flop, selling at loss. Had to sell with huge discounts. Older GTO fans wanted “1967 looks” and import performance car fans were never going to by a “Plastiac”. After selling GP’s with huge rebates/dumping into fleets, then to go “We got an Australian car for $40K” didn’t go over well. Enthusiasts may love the G8/Chevy SS, but business case didn’t work. Parts from shipped from AUS are expensive for one thing. I rented a few of these in 2006-2007 and quite enjoyed them. Fun to drive, with plenty of room for my wife and I, and a nice growl from the 3800 plus decent mileage. The G6 wasn’t a bad ride either, but I’d take a GP over a G6 any day. I miss Pontiac – they should have kept it around. Here in Winnipeg, the Grand Prix are as plentiful as the potholes. It will take an eternity for them to disappear from the scene. This was one of the only cars my mom leased that I didn’t take a picture of. I was such a huge fan of the previous generation and when they debuted this thing, I was crestfallen. It was and remains ugly. The rear seat indeed is an awful place to be if you are shorter than 6′ tall. The interior plastics are unpleasant to touch, just looking at those door handles immediately reminds me of how flimsy they felt and I can remember feeling the sharp mold lines. She was leasing the second of two Grand Ams (1999 and 2002) when the dealer called and asked if she’d like to get a GP for the same monthly payment and nothing down. 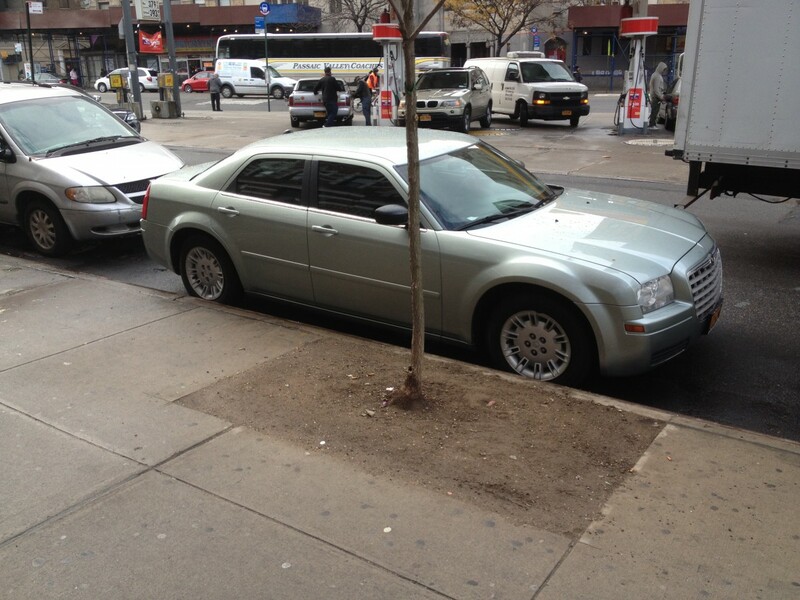 She still had several months left on her green Grand Am GT1’s lease but she happily made the swap. I pleaded with her not to, but she liked the idea of a larger car. The GP was the epitome of a blah car. It was gray. It was almost a base model with a plasti-rubber steering wheel and only fore/aft-up/down power driver’s seat (I just remembered how that button felt: hollow, awful). 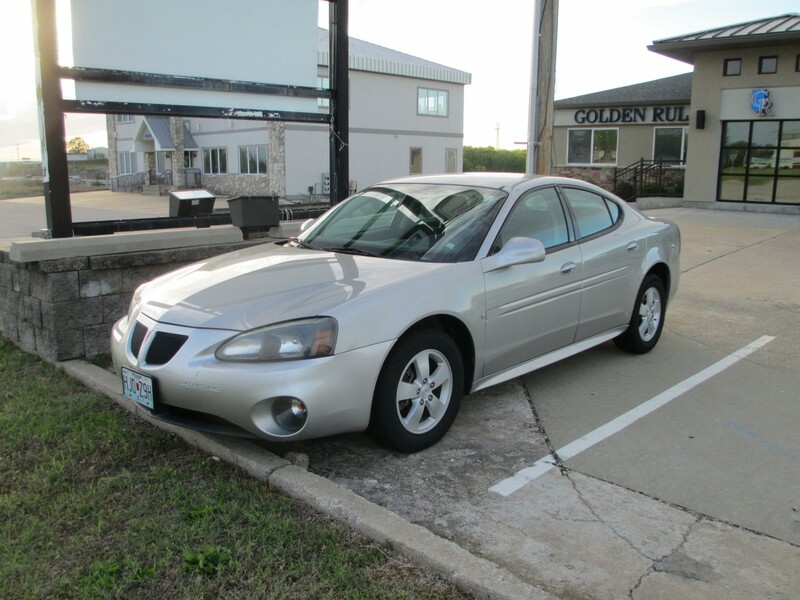 It was the last Pontiac she leased, and the last car from that dealer (which she had either purchased or leased exclusively from since 1988 – total of 7) before I finally talked her into looking at other brands and prodded her over to Saturn where she replaced the GP with an Aura. You saved me the time of saying mostly the same thing. Mediocre rental-fleet fodder. I cant get past that awkward rear roof/window/trunk profile. Almost as if Pontiac were trying to match a Mercedes CLS but working in the dark, literally and metaphorically. Pontiac really fk’d-up the styling on the 04-08 Grand Prix. What a mess. And no coupe either. 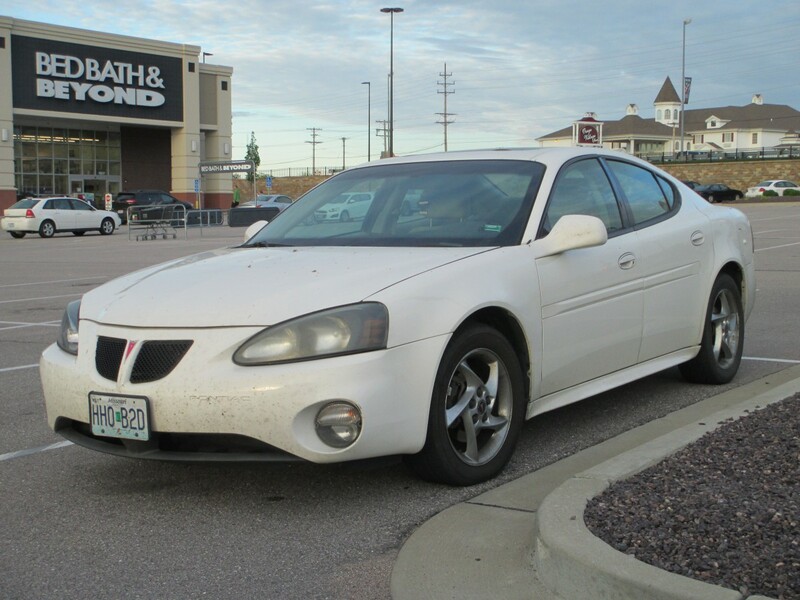 The 97-03 Grand Prix was a descent and surprisingly clean design for a Pontiac of the plastic era. The 97 was a vast improvement over the 88-96 models in every way. Pontiac once stoodout as a desirable and respected brand, later succumbing to the ravages of poor product planning, bean counters and short cut engineering. It’s no wonder the division withered on the vine and died. My first and only new car purchase was an ’06 Corolla LE. But the things that I found I disliked over time such as the weak AC, buzzy interior, driving position that was uncomfortable for long trips (the eventual deal breaker for me), slippery stereo knobs that weren’t easy to turn, etc. put me in a position of hating the car I bought. So after 9 months of the putting up with that car, I was itching to ditch it and I traded it in for an ’06 GP in Aug. of ’06…one of those former rental cars with about 13K on the clock. The GP had a superior driving position, the ergonomics were spot on, the ride was controlled but comfortable, had a huge trunk with split fold rear seat, proven 3800 (but those plastic coolant elbows…). I even bought the Pontiac extended warranty as I knew pretty early on that I was going to keep it for awhile. I really liked the car, even if the styling was a little more loud than I ideally liked, and kept it for 7 years. I liked it more than my dad’s ’04 Accord as the brakes in his car were so sensitive that the slightest pedal press always resulted in a head bob that could start to induce motion sickness, especially in in-town driving. I also liked it more than my mother’s ’05 Camry as her car suffered from the same uncomfortable driving position (to a lesser extent but it was still there) as the Corolla. I think GM got far more right with this car than they’re given credit for and I still check them out from time to time to see were prices are at.